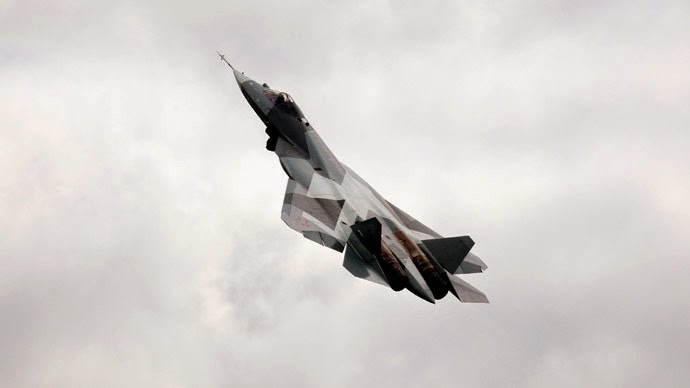 Russian deputy defense minister General Yuri Borisov told Russian media that production of the Sukhoi PAKFA fifth generation fighter aircraft (manufacturer’s designation T-50) might be slowed, compared with previous plans. Since the PAKFA first flew in January 2010, six prototypes have been built and flown. Another four prototypes are due to be completed this year. During a visit to Sukhoi’s KnAAPO plant at Irkut, where PAKFA production is being set up, Borisov suggested that the Russian Government’s Armament Program 2020 (GPV2020) might be revised to reflect the difficult economic situation in the country. According to sources in the Russian defense ministry, speaking on condition of anonymity, the current version of GPV2020 calls for 52 PAKFA aircraft to be procured in the 2016-2020 time frame. During 2016, 2017 and 2018, the Russian air force expects eight aircraft annually, after which the rate of production would grow to 14 a year. KnAAPO is ready to commence serial production of the PAKFA starting in 2016, and Borisov confirmed that an initial production batch will be taken by the air force as planned next year. Today, the defense ministry is considering forming a single squadron of 12 aircraft, and then pausing production until such time as the initial batch of aircraft prove their advertised performance during operational trials. Borisov said that, on the whole, the military pilots are happy with PAKFA design and performance as demonstrated by the prototypes. 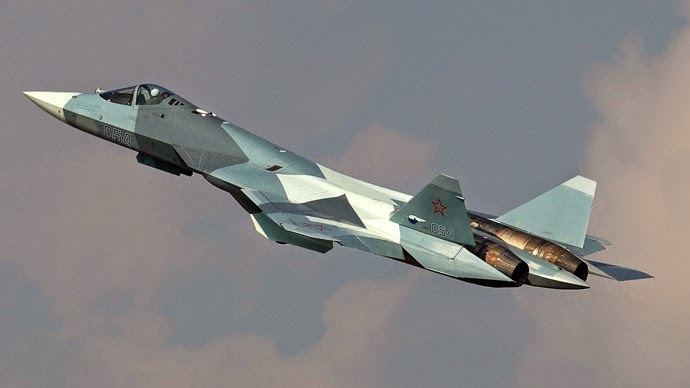 The slowdown could make additional funds available for procurement of more Su-30SM and Su-35 fourth generation fighters “so as to squeeze the maximum possible out of them,” Borisov suggested. In 2015, KnAAPO is scheduled to produce five Su-30M2s and fourteen Su-35s. In 2010, Russian president Vladimir Putin said that 30 billion roubles ($518 million at today’s exchange rate) had been invested into the PAKFA project and a similar amount is needed to complete development of the aircraft. Russia’s United Aircraft Corporation (UAC) expects the total orders from Russia and India for the PAKFA and the FGFA (the Indian air force version) to exceed 400 aircraft.